Camping is an adventure where rough living is part of the experience, but tent folding is unlikely to be fun for anyone. The task can be time-consuming and laborious at the end of a trip, when everybody is ready to go home, and it can be even more difficult when folding instructions aren’t on hand. However, folding a tent and placing it in the manufacturer’s bag is vital to keeping the tent from getting torn, punctured or mouldy In addition, a tent bag is designed to carry all of the stakes, poles and other tent gear for convenience and protection from getting lost. 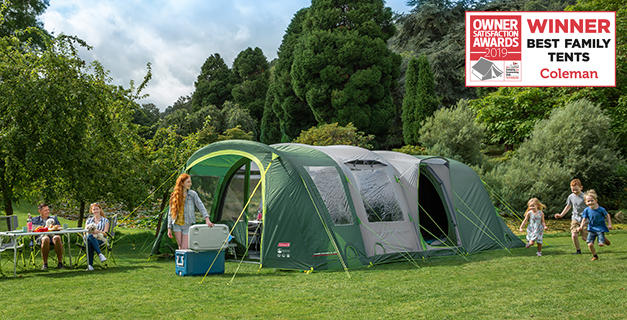 Although there are many different models of Coleman tents, they’re all designed to let consumers easily raise them up and store them away until the next camping trip. Here’s a look at how to fold a tent for safekeeping. 1. First, unclasp the tent flap from all of the tent poles and take out the stakes that secure it to the ground. Be sure to open all of the tent’s doors and windows. 2. Now it’s time to take the tent down. Take all stakes out of the ground, then remove the tent poles from the metal pins surrounding the tent’s lower edges. Flatten the tent out on the ground and remove the poles from their sleeves. 3. To keep things organized, line up all the tent poles on the ground according to size. Pull apart all the tent poles except the longest one and fold the sections over against their adjacent sections. Put the longest pole on the ground in front of the tent’s front door. 4. Put the rain fly on top of the tent, which should still be laying flat on the ground. Now, begin folding the tent into a rectangle by first folding the extended windows and porches toward the tent’s centre then extending the floor canvas out by the corners of the tent. 5. Measure the tent’s length against the longest tent pole, and fold in the edges of the tent if the pole is shorter. Next, fold the tent edges in so that rolling up the tent will be easier. 6. Now it’s time to pull apart and fold up the longest tent pole. Take all the poles and place them in the pole bag, then tie the bag to keep them from falling out. 7. 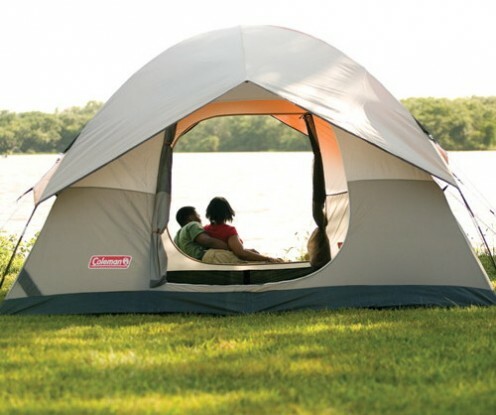 Fold the tent over in half along its length, bringing the tent’s back door to its front door. To guarantee that the tent will fit in the bag, put the tent bag along the tent’s top at this point. If the tent turns out to be too wide for the bag, continue folding the tent over until it is able to fit. 8. Air can become trapped in a folded tent, making it too large to fit in its bag. To prevent this from becoming an issue, it’s best to walk gently over the tent after it’s folded in order to push out as much air as possible. Using the right technique will optimize this process. Simply kneel on the tent’s end while facing its edge, then start rolling up the tent as tightly as you can. Keep walking backwards on your knees as you continue to roll the tent, pushing all the air out of the tent using your knees along the way. 9. With the tent rolled up and free of trapped air, it’s time to put it in the bag. Place the bag holding the stakes and poles on top of the tent inside the bag, then zip it up.